WASHINGTON -- President Donald Trump is allowing more employers to opt out of providing no-cost birth control to women by claiming religious or moral objections, issuing new rules Friday that take another step in rolling back the Obama health care law. 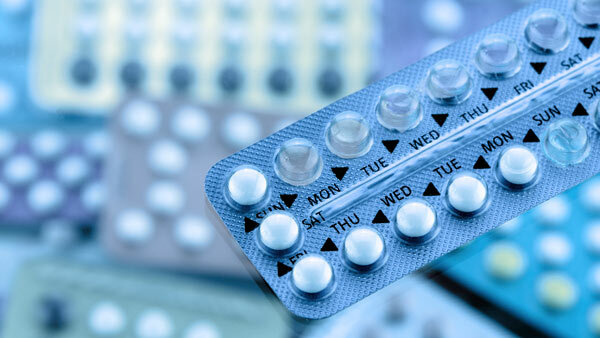 The new policy is a long-expected revision to federal rules that require most companies to cover birth control as preventive care for women, at no additional cost. Preventive services are supposed to be free of charge to employees and their dependents under former President Barack Obama's Affordable Care Act. Trump's religious and moral exemption is expected to galvanize both his opponents and religious conservatives that back him, but it's likely to have a limited impact on America's largely secular workplaces. Most women no longer pay for birth control, and advocates immediately announced plans to try to block the new rule in court. Although tens of thousands of women could be affected by Trump's new policy, the vast majority of companies have no qualms about offering birth control benefits through their health plans. Human resource managers recognize that employers get an economic benefit from helping women space out their pregnancies, since female workers are central to most enterprises. The administration estimated that some 200 employers who have already voiced objections to the Obama-era policy would qualify for the expanded opt-out, and that 120,000 women would be affected. However, it's unclear how major religious-affiliated employers such as Catholic hospitals and universities will respond. The Trump administration's revision broadens a religious exemption that previously applied to houses of worship, religiously affiliated nonprofit groups, and closely-held private companies. Administration officials said the new policy defends religious freedom. Privately owned for-profit companies, as well as publicly-traded for-profit companies will be able to seek an exemption. Doctors' groups that were key to derailing Republican plans to repeal the health law outright expressed dismay over the administration's move on birth control. Women's groups said they would try to stop the administration from carrying out the changes. "The rules give employers a license to discriminate against women," said Fatima Goss Graves, president of the National Women's Law Center. "We will take immediate legal steps to block these unfair and discriminatory rules."